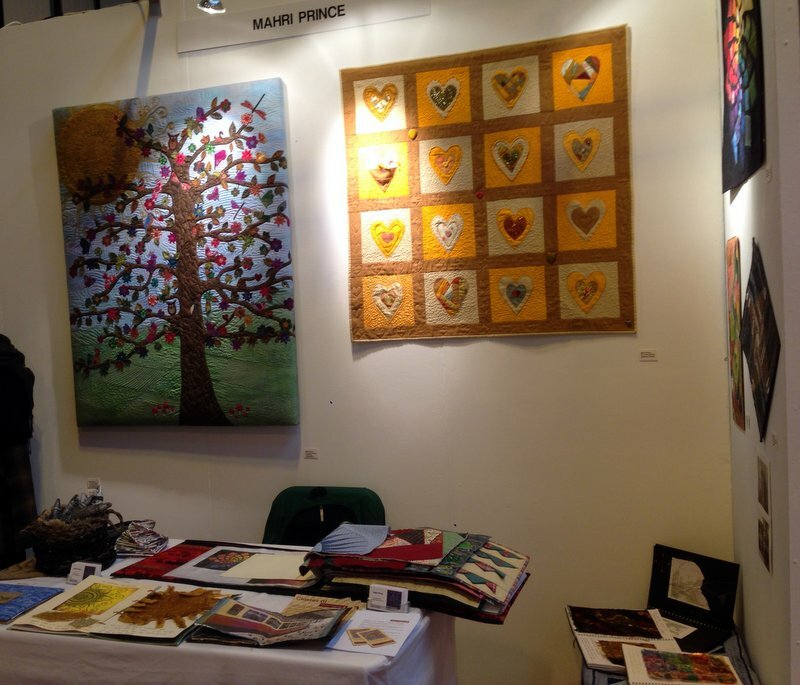 This year’s highlight was Quilt Art (unfortunately no photos allowed) as well as Christine Chester’s thought provoking pieces about dementia. Though Our Hands also had some interesting works and unusual techniques. I loved the piece by Clare Smith with the dye dripping through it, running where it wished. No photos of these (I tend to do photos of ‘things’ rather than people) but meeting up with so many lovely quilters I know is one of the main highlights of the Show. 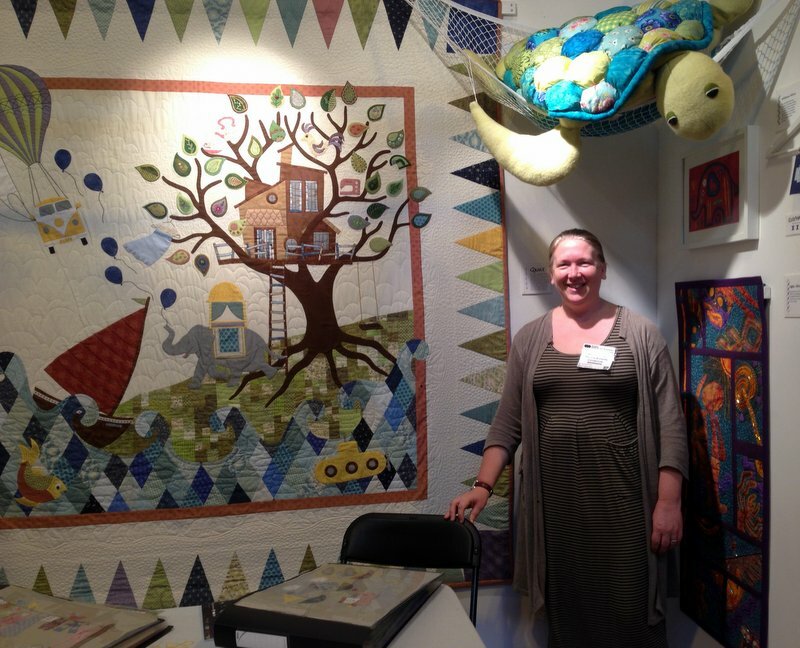 Quilters are such a friendly and supportive group of people, so each year, my group of friends expands, which is fantastic – meeting old friends and making new ones. This is probably further up the list for most people, but I’m not great shopper. However, there are always lots of tempting goodies at the Show. This year, I justified my purchases because I need to ‘try things out’ for my students. Well, that’s my excuse and I’m sticking to it. Yes, I know the judges have a thankless task, but it is always fun to see quilts which to my mind seem better than the winners. A wise person once told me that as the judging has to follow a tick box format, often it is more informative to look at the judges’ choices instead, as they are the quilts the judges appreciated, but which didn’t ‘fit the boxes’. 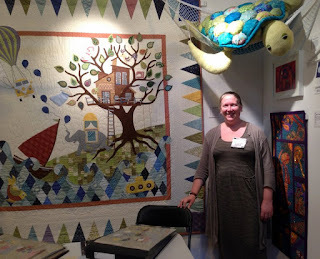 It is also incredibly difficult as there are just so many beautiful quilts and there can only be one winner per category. So that’s it all over with for another year. Can’t wait until next time. I missed FOQ this year - could not be helped but I'm suffering withdrawal symptoms! I love to visit FOQ vicariously...and will not see what Clare Smith is all about! Thank you! Thanks Hilary and Margaret. I love going to the FoQ as there is always such variety. I also enjoy reading what other have spotted as it is so often different to what I have seen or how I have perceived the quilts.